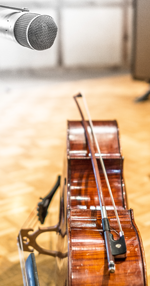 EMOTIONAL CELLO has become a go to sample set in my film score and concert music mock ups. One of the trickiest part of my workflow, is conveying to film makers just how beautiful solo strings can be in a film score. This instrument, with it’s many articulations and sheer sonic beauty and easy playbility is a godsend! Solo String instruments are among the most difficult instruments to sample. I have been struggling with them for many years and gone through many commercially available products, with very little satisfaction. But now there is relief: Emotional Cello is the most detailed, thorough, well-scripted and beautiful sounding virtual instrument by a long margin.The sheer number of articulations is staggering! This is fast becoming a staple in my library. I buy a ton of libraries each year as a working film composer – this is the best since BST. Excellent. When will you release the solo ‘emotional’ violin library? Thanks again for your hard work on this. Selten hat mich ein Instrument so überzeugt und inspiriert wie das Emotional Cello. Es war stets schwer, akustische obertonreiche Instrumente zu digitalisieren.In diesem Fall ist es perfekt gelungen.Eine Bereicherung für mich als Komponist und Produzent. Emotional Cello is a new kind of virtual instrument, created by Harmonic Subtones, a Munich based developer team, for Native Instrument's Kontakt 5 Player. Because of its powerful and yet exceptionally emotional sound, it unlocks previously unknown dimensions in the realms of sampling. Emotional Cello was recorded in the Mastermix Studio, Unterföhring/Germany. The instrument was carefully mic'ed in a wood-paneled room with high ceilings and highest possible wall distance. Microphone recordings were performed intentionally close using two Neumann models KM184 and U47, preserving a discreet portion of the room's excellent acoustics. At the same time, the close mic'ing technique easily allows external processing, e.g. to accomplish an overall ambience for the mix. Use the integrated convolution reverb of the Kontakt 5 Player or the pure unprocessed original sounds as needed. Native Instruments Kontakt or Kontakt Player 5.5.0 (or higher) required. Emotional Cello überzeugt mich klanglich auf ganzer Linie. Neben ausgewogenem Charakter tönt es an den richtigen Stellen bissig, lebhaft oder sanft. Die wahre Stärke der Library liegt in der sorgfältigen Sample-Auswahl ohne störende Nebengeräusche, perfekter Intonation und sorgfältiger Programmierung. Die Ausstattung und innovativen Konzepte machen Emotional Cello zum exzellenten Soloinstrument für Filmmusik und Pop bis hin zur Klassik oder Moderne. There are a quite few virtual cello instruments on the market but this one is an absolute winner. It is not just about sounding authentic, sounding like a real cello player, the thing about this library is that it sounds absolutely beautiful, or – as the name suggests – emotional. Mit Emotional Cello ist es den Best-Service-Entwicklern gelungen, das emotionsgeladene Cello einzufangen und durch die aufwendige Samplingmethode ein intuitiv zu bedienendes, authentisch klingendes Kontakt-Instrument zu bilden. Einen echten Cellisten kann auch diese Library zwar nicht ersetzen, dennoch ist die Authentizität beeindruckend. Es ist vorstellbar, dass die Methode des „Contextual Samplings“ auch in Zukunft häufiger genutzt wird, um solche lebhaft klingenden Instrument-Librarys zu entwickeln. Wer eine authentisch klingende Cello-Library mit ausgereiften Möglichkeiten für Artikulation, Bogenwechsel und Vibrato per Key-Switch sein Eigen nennen möchte, erhält mit Emotional Cello ein Kontakt-Instrument der Spitzenklasse. "Emotional Cello is a captivating piece of software that enables the creative process through a rich structure of articulations that are not available else where." Best Service und Harmonic Subtones habe nicht zu viel versprochen: Emotional Cello schlägt ein neues Kapitel im Bereich der samplebasierten Streicher auf: Das Cello klingt warm, intim und voll. Die Methode des „Contextual Sampling“ wurde in akribischer Feinarbeit und mit viel musikalischem Einfühlungsvermögen umgesetzt und hat ein einzigartig lebendig klingendes Sample-Cello entstehen lassen. Emotional Cello ist ein äusserst ausgefeiltes und fortgeschrittenes Kontakt-Instrument, es glänzt mit einer sehr umfangreichen Anzahl an Artikulationen und Klangfarben. Ein „echtes“ Cello ist ein ausdrucksstarkes Instrument und Emotional Cello fängt davon auf beeindruckende Weise einen großen Teil ein. Natürlich ist auch Heute die Technik noch längst nicht so weit, einen echten Cellisten durch ein Programm zu ersetzen, aber Emotional Cello reizt die Grenzen dessen, was aktuell möglich ist sehr weit aus.Dabei klingt es meist sehr natürlich und die Zuordnung von aus Phrasen gewonnenen Samples an ihre korrekte Position in einer neuen, MIDI-getriggerten Phrase scheint sich gelohnt zu haben. Wenn eine Solo Cello Stimme gefragt ist führt eine geschicke Abwechslung per Keyswitches Dank dem großen Pool an unterschiedlichen Artikulationen zu sehr lebendigen und abwechslungsreichen Melodielinien. Hier nimmt Emotional Cello einen Spitzenplatz in seiner Kategorie ein. Die Single Patches verdeutlichen, was für eine Fleißarbeit dieses virtuelle Cello darstellt und steuern einige aussergewöhnliche Spielweisen bei, die man in vergleichbaren Instrumenten nicht findet. Overall, Emotional Cello has some seriously expressive mojo. The secret sauce is in the brilliant scripting that they use to command the thousands of meticulously recorded samples in a way that allows a keyboard to intuitively control a solo cello expressively. Before I even read the manual I was able to play satisfying lines through natural variations in dynamics, playing style (legato vs. non-legato) and mod wheel. Once I learned about the keyswitches and hidden features, I just took it to the next level. Take time to experiment and learn the different styles. I learned about a number that I hadn’t ever heard before. I’m inspired to use this for scoring work, and I have the confidence that I could write a totally passably realistic cello part if I needed to. This is the best solo cello library I have had a chance to get my hands on and it will definitely stay in my main orchestral template for a long long time. The guys at Harmonic Subtones did a amazing job with this instrument. Die jahrelange Arbeit des Entwicklerteams von Harmonic Subtones hat sich gelohnt. Der Klang ist wirklich toll. Es ist die beste Cello Software, die ich bisher kennen gelernt habe. Trotz der vielen Artikulationen ist es gelungen, die Benutzeroberfläche einfach bedienbar zu halten. Einfach geil! this is an amazing library ! i love it ! The best plugin I ever used in my life, period. Be good sports and make a viola and two violins so I can record my string quartets.